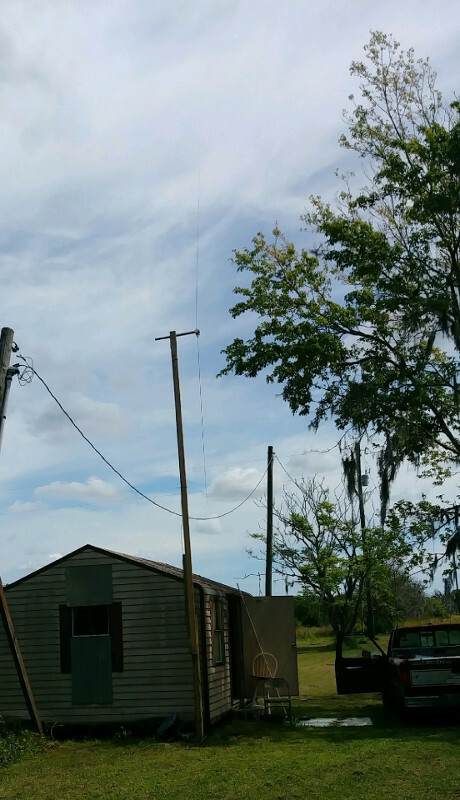 My beacon is running 24/7 on 28.2108 MHz at 5 watts through a vertical half wave dipole, located just South of Clermont, Florida, at our family cabin. The transmitter is a converted Midland 13-857 CB radio. 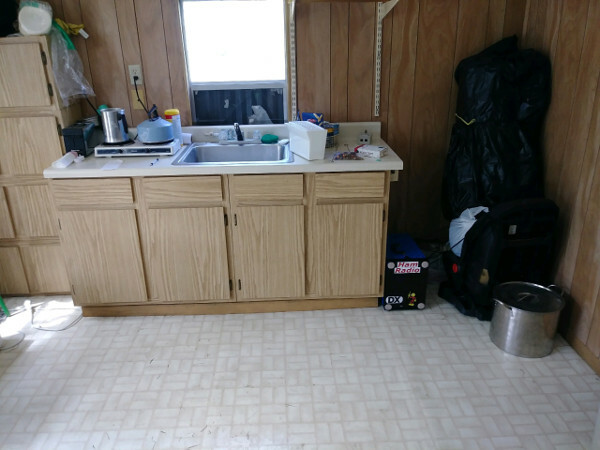 The 11.275 crystal was replaced with a 10.240 crystal with a trimcap. An Arduino Nano keys the PTT circuit to do the keying. 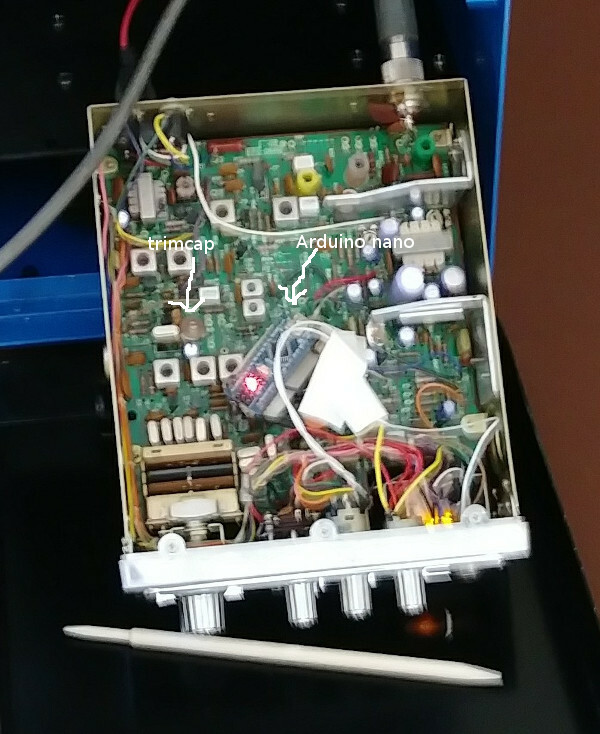 Both the crystal trimcap and the Arduino are visible in the picture. The Arduino runs an endless loop of 2 seconds of carrier (to allow S-meter readings), then 3 Vs, my callsign, and FL for Florida. It's inside the blue box (yes, we're whovians) on the floor inside the cabin.